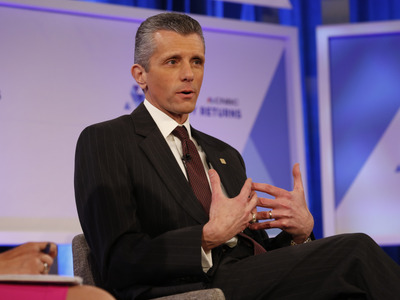 David Grogan / CNBCCigna CEO David Cordani speaking at CNBC’s Healthy Returns conference on March 28. The US Department of Justice has now cleared two healthcare megamergers, after CVS Health and Aetna’s $US69 billion merger got the green light from the agency on Wednesday. In September, the agency also cleared Cigna’s $US67 billion merger with Express Scripts. The acquisitions, once officially closed, will redraw the healthcare industry as we know it, giving health plans a lot more control over who’s paying for prescription drugs. 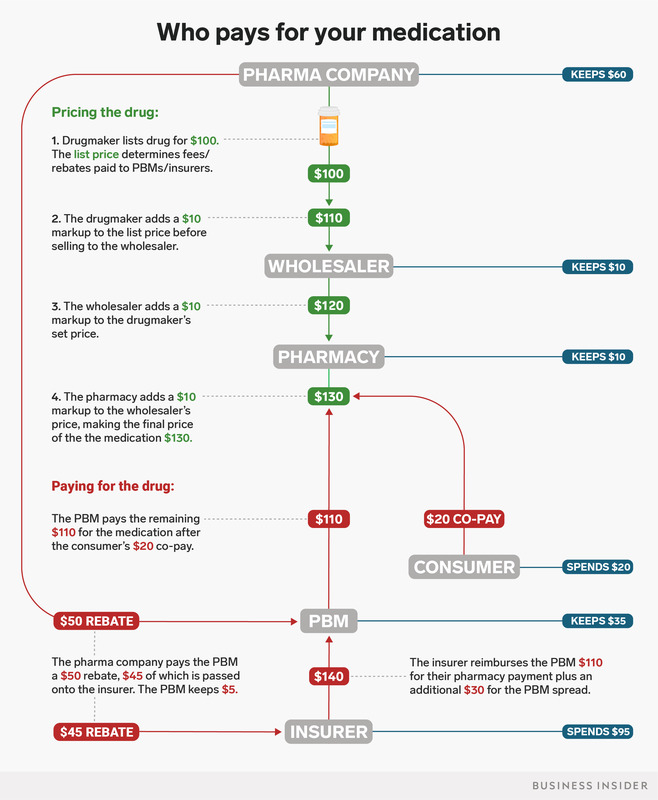 The deals, once closed, will redraw the healthcare industry as we know it. 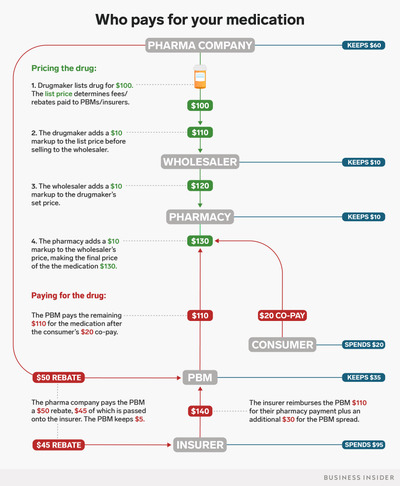 In CVS and Aetna’s case, the deal creates a new type of company that includes a health insurer, a retail pharmacy, and a company that negotiates prescription drug prices with drugmakers called a pharmacy benefits manager. As part of the agreement with the DOJ, CVS and Aetna have to divest Aetna’s Medicare Part D prescription drug plan business. And in Cigna and Express Scripts’ case, the deal brings a health insurer and a PBM under the same roof and ends the days of the standalone PBM. The move to go into other lines of business comes shortly after the DOJ blocked two health insurer mergers in 2016 that would have combined Aetna and Humana and Cigna and Anthem. The blocking of these so-called horizontal mergers suggested that big healthcare companies might need to look elsewhere for combinations. Because vertical mergers, which combine different business all under one roof, don’t impact the size of the market in a way that would make any one anti-competitive, they tend not to get challenged as frequently as horizontal mergers. “Vertical mergers tend not to be a problem,” Andrea Agathoklis Murino, a partner with Goodwin’s Antitrust & Competition Law practice, told Business Insider. That is, unless there’s an instance in which prices go up because of the merger. But there had been some pushback to the CVS-Aetna tie-up. The American Medical Association said on Wednesday it was disappointed with the DOJ’s decision. To be sure, the deals aren’t set in stone just yet. The companies still need to get the OK from state insurance agencies, which both sets of companies say they’re still working on. Should the deal go through, Cigna wouldn’t be alone in controlling both the insurer and PBM part of paying for prescriptions. UnitedHealthcare, for example, owns the PBM OptumRx, while Anthem, which owns a variety of Blue Cross Blue Shield health-insurance firms, will be launching its own PBM called IngenioRx. And with the CVS Health–Aetna deal, CVS Caremark, the PBM unit of CVS and Aetna will be under the same roof as well. With both acquisitions, Cigna and CVS both will have more oversight into who’s paying for prescriptions.